This week, the blog’s main topic is ABM strategy and the different components involved. We will address what kind of strategy ABM is, the leads ABM targets, and universality of ABM processes. As we learned from last week, ABM is not as easily run as some might think. We dug into the ideas that both a pilot program and tech stack can be helpful and beneficial when used accordingly. Let’s jump back into busting myths with the second edition of the series! Missed the first part? Check it out here! ABM is a strategy that will entirely reshape your Sales and Marketing process. Reforming the current method enables potential volume and velocity increase by adding this approach as another route to market. Oftentimes, there is a misrepresentation that ABM replaces the former marketing style. However, both can be run simultaneously as two separate paths to market. Rather than taking over altogether, this is an addition to the previous strategy. By understanding the accounts being worked with, marketers can make a high-skilled decision on which method would be most effective in different scenarios. It’s important to know when to implement each style in order achieve the yearned goals. Once you’ve gotten your product to market, there is a natural inclination to gain as many leads as possible. It’s a feeling of accomplishment that can quickly become addicting to marketers, especially to those struggling to prove their ROI. With ABM, you have a few incredibly valuable accounts. You know exactly who you are working with, their purpose, and their challenges. Lead generation is contradictory to this style. Rather, the goal is to capture these high-value accounts and build a strong relationship with them to continue working together. ABM espouses relationships over the often-meaningless numbers of net new leads. Remember quality over quantity is key here. To categorize the whole process of ABM as evergreen is an overstatement. Each account has their own objectives that they want to achieve, so ABM campaigns vary based on these differences. The foundational aspects like planning, strategies, and principles are everlasting. However, since the accounts have varied goals, the individual plays must be specialized to achieve them. Sure, there can be overlap when working with similar accounts, but they will not be identical. Previous results and knowledge gained from past campaigns can be applied to these accounts, but customization will occur to go after the exact goal. Remember, the core concepts of ABM can be universal, but the individual plays implemented range depending on the situation. So, choose your evergreen material wisely. We’ve covered a good deal of information this far, but there’s still more to go over in our final post. Stick around to find out if ABM is efficient and if ABM can be run at scale. Continue learning out ABM by exploring more of our Best Practices. Sammi Lamb is a spunky gal with a can-do attitude that's always ready to take on new projects thrown her way. 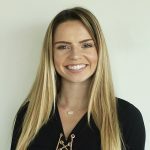 From being a marketing student at Arizona State University to a Marketing Associate at LeadMD, she is eager to learn and challenge the status quo in the world of marketing. What motivates her every day, is how the world of marketing is in a constant state of change around today's technology and the modern buyer. She keeps a pep in her step as you never quite know where this adventure will lead you next. When she’s not digging into a new project or trying to solve the latest marketing challenge, you could find her at the Happiest Place on Earth—Disneyland! Originally from Southern California, she loves to go on outdoor adventures, especially to the beach. She is currently located in Tempe, Arizona but only time will tell where she ends up.